“I never thought I would work in long-term care,” says Jen Heins, a nurse assessment coordinator (also known as an MDS Coordinator) at Bethesda Southgate, a skilled nursing home community in South St. Louis County. However, Jen’s story began in 2000 when, at age 23, she began her employment as a social worker at Bethesda Dilworth. She coordinated the care of the residents and helped create the most homelike atmosphere possible for them. She conducted depression evaluations and helped new arrivals acclimate themselves to the Bethesda Dilworth environment. Over time, she was named the director of the department, but Jen wanted to do more. This would become a very familiar pattern with Jen. Benefitting from Bethesda’s tuition reimbursement program, she entered nursing school while still holding a full-time position. In 2010, after four years of juggling school and work, she graduated as an RN and became a nurse manager at Dilworth. She later transitioned into positions as a field nurse and then Nursing Supervisor at Bethesda Hospice Care, followed by a stint as a referral coordinator for St. Andrews & Bethesda Home Health. Along the way, she discovered that she enjoyed the environment she had never planned to pursue. She developed a deep attachment to the residents for whom she cared. While a nurse manager trainee at Bethesda Dilworth, Jen had lunch with the same resident every day. When Jen earned her RN degree, that resident was in the audience, cheering her on. Jennifer also helped lead the family group for those with loved ones living with Alzheimer’s. “It gave me insight into what those families are dealing with,” she says. Jennifer notes the devotion to resident care that underscores everything at Bethesda. Today, she works with an interdisciplinary team at Bethesda Southgate to monitor and assess the care, treatment, and outcomes of residents receiving Medicare, Medicaid or managed care insurance company benefits. “It’s a seven-day look back at everything that was provided to a resident by nurses, therapists, dietitians, and social services,” she says. 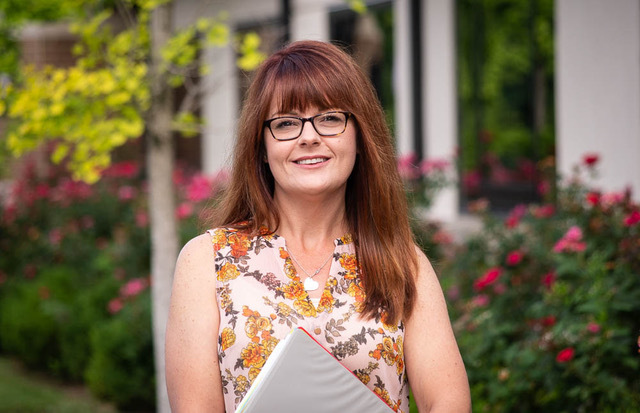 She believes at least one reason for her unique career path was due to a desire to have an understanding of what Bethesda offers and be able to explain it to residents and their families. “Because of my experience, I’m able to tell people what we can do for them,” she says. Twenty years ago, she didn’t see herself in long-term care. Today she remains there due to a passion for residents, respect for her co-workers, and Bethesda’s dedication to care. She has made the most of many opportunities, created some of her own, gained valuable experience, established deep relationships, and formed lasting memories along the way. Here at Bethesda, we are always looking for enthusiastic people who are ready to dedicate their career to improving the lives of others. To explore open opportunities at Bethesda, which was named among the “Best Places to Work in St. Louis” for of the last seven years, visit our Careers page or contact us for more information.